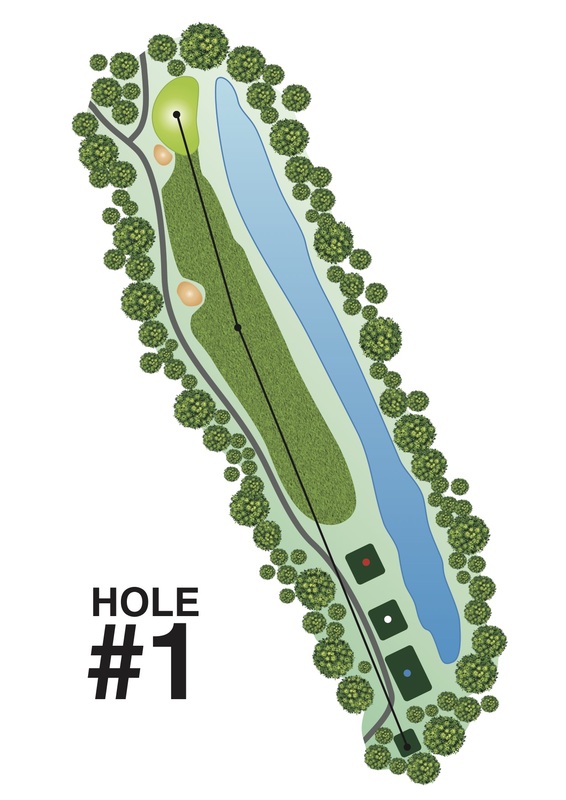 The fairway of the opening hole appears narrow with a pond on the right that runs the entire length. Golfers will also encounter the first of the many geotextile layered face(GLF) bunkers. Optimum placing for the tee shot is slightly right of the GLF bunker. Play second shot slightly left of green to avoid the wetland on the right.